1/6th of the population of Delano, Minnesota - more than 1,000 residents - came out to support a local black family with a candlelight vigil after their home was broken into, burglarized, and vandalized. The Douglas Family - Latanza, her husband, and their three children came home to see racist, hateful, and threatening messages spray-painted on the walls that read "Get Out" and "Next Time Its Going to Be Fire." 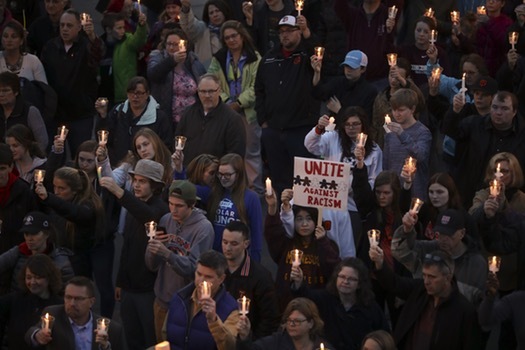 “What we need to do is unify everybody together... For all the people who are discriminated against, to say there’s help here for them and this is a safe place to be,” Mayor Dale Graunke told the Star Tribune. The candlelight vigil was the start of an anti-racism campaign in Delano. Elected Officials, educators, faith leaders, and residents have already arranged a followup meeting to address racism through a new local task force. 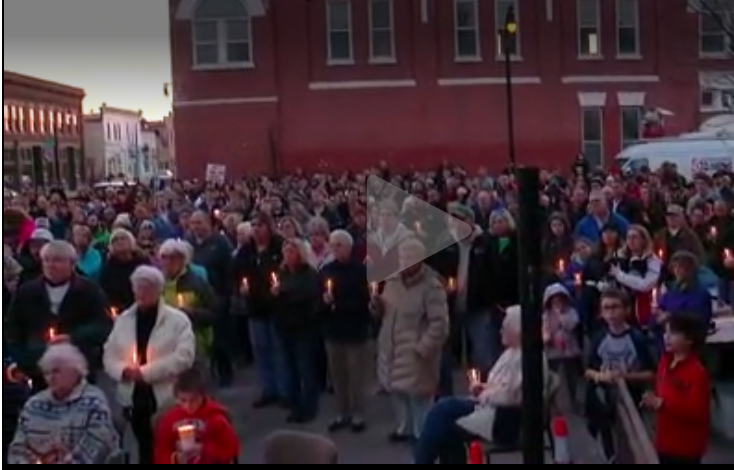 Watch this video to hear more from residents who attended the vigil. Dahlonega resident, Valerie Fambrough, was on her way to drop her children off at day care when she saw a KKK sign in the townsquare. She didn't have a plan but knew she had to do something. 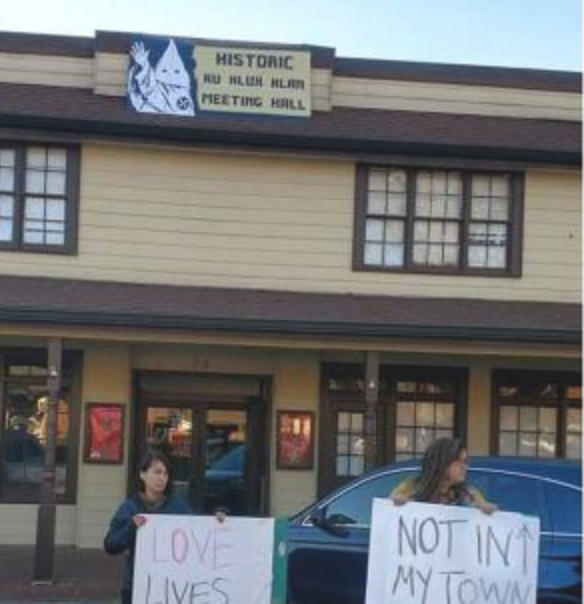 It was cold outside, she was alone and wearing flip flops, but Valerie stood beneath the KKK sign with two of her own that read "Not In My Town" and "Love Lives Here." Valerie invited her friends to the march saying, “It’s about showing people that they have nothing to be afraid of in our town!” according to the Washington Post. 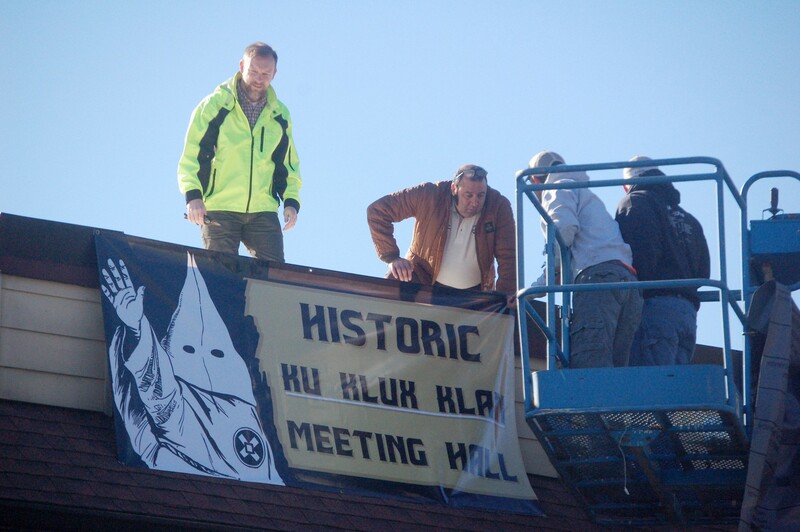 The owner of the business where the sign was hung - an 84-year-old white woman named Roberta Green-Garrett - approved of the banner. Green-Garrett's assistant later applied for a permit to continue displaying the sign on the building. There was conflict in the community about whether the sign should be taken down or not, but many concerned citizens who were outraged by the sign raised their voices. A student-led boycott of Green-Garrett's business was organized, and days later the permit application was withdrawn. 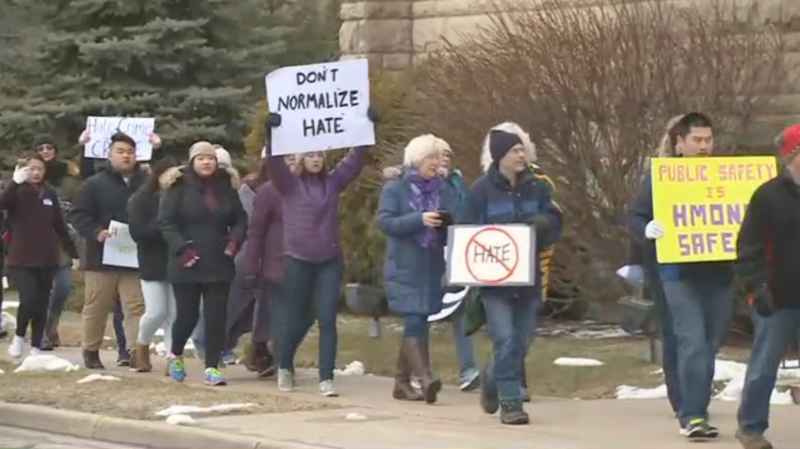 Hundreds of people came out to participate in the youth-led "A Hate Crime is a Crime" march in Stevens Point, Wisconsin after a local man fired a gun at his Hmong neighbors. 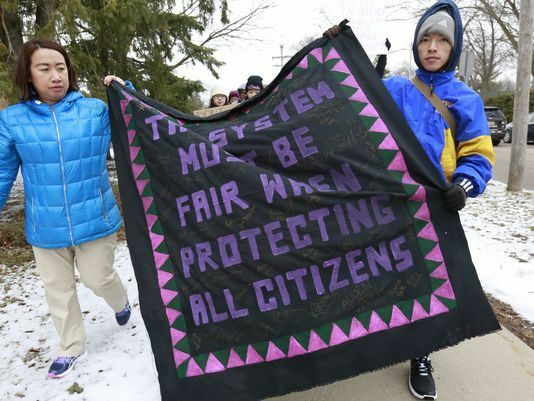 The marchers also called on the justice system to be more inclusive by protecting residents of all ethnicities because this is not the first time the Hmong community has been targeted. In March of 2016, three Hmong people were murdered by a man who said "you guys got to go" before shooting them. After the 2016 killings, a coalition of community organizations came together, including Hmong, Hispanic, Jewish, Christian, and members of the Sikh gurdwara - who just twenty miles away faced a hate attack that took six lives in 2012 (See Waking In Oak Creek). Today, the Mhong community remembers these hate attacks. In the march over the weekend, history was taken into account when the marchers called for bringing an end to hate in Wisconsin. "We want people to be more open about these issues in our community and not be scared to let their voices be heard," Youth Organizer Gaoia Xiong told WAOW. "We can't just shove it under the rug." See also: Waking In Oak Creek - As the Sikh community in Oak Creek, Wisconsin prepares for Sunday prayers, a deadly hate attack shatters their lives, but not their resilience.